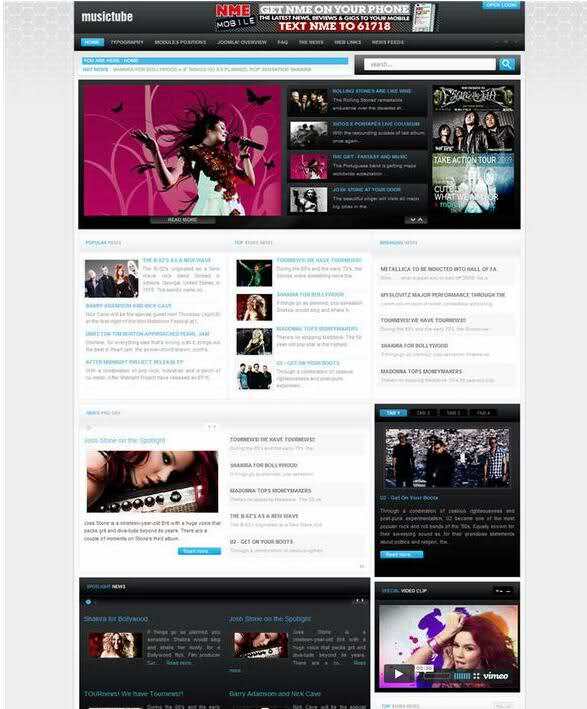 GK Musictube - excellent music portal template for CMS Joomla developers GavickPro. Gorgeous design layout is designed with all the modern requirements, so GK Musictube ideal for creating websites that offer download music. Proprietary platform Gavern pattern gives a quick download speeds, good optimization and provides full access to the settings of the template through the administrative part. The availability of flexible modular design and planning support for additional extensions studio, adds a special new features and functionality template.